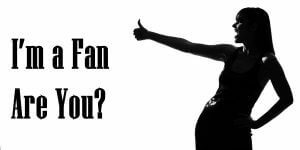 Im a Fan of Amalfis Restaurant & Bar... Are you? Fill in the below form and you can recommend ‘Amalfis Restaurant & Bar’ to a friend or family member via a text message. Show your support with a quick share of ‘Amalfis Restaurant & Bar’. Just hosted a soccer viewing event for about 40 friends in the back bar and was a great time. Great food and drinks and perfect TV set up for watching big events. Luigi and the rest of the crew took care of everything so I didn’t have to worry if my guests were getting what they needed. Friendly atmosphere. Good Food. Prompt Service. Fun place to hang and enjoy music too. Nice thin crust pizza! Very clean. When you walk into this restaurant you feel like family. Great restaurant, stellar bar, awesome pizza – will even make you a tomato pie! Delicious food, I like to try something different each time I go but the Chicken Amalfi stands out the most. Bon appetit! One of the best local restaurants, and a true supporter of the community. Johnny always greets you with a smile from behind the bar, and is quick with a beer or one of his own unique mixes. Rosanna and her boys have created a menu that features great seafood, amazing sauces, and a variety of selections from traditional Italian to Mediterranean. The service is excellent with an insistence to always go the extra mile to make you happy. Love the pizza. Very family otiented. Make you feel welcome. Very nice people. Love the pizza, esp the sausage. Fun place to hang out with local friends. Wonderful food and great spot to gather with friends. The food is fantastic and the staff is extremely friendly and attentive. An Italian restaurant with a family atmosphere. Best pizza in Lawrence. The vodka sauce is unbelievable. The Amalfi Italian sandwich is so good that you will want another! 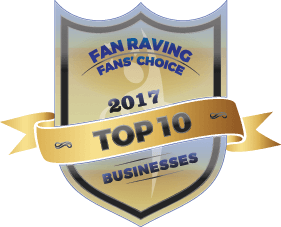 A larger bar with great martinis – the best is Johnny’s Lemon Drop Martini. TVs are situated all around the restaurant. Best Brooklyn pizza in town, love their customer service especially their fast service during busy period. Great food, great family and staff. It’s a must stop if you are in the area. You will not be disappointed. Amalfis is a nice neighborhood restaurant and bar. The food ranges from bar fare to more upscale Italian specialties. The bar is large and friendly. It’s always a plus when they have live bands playing. Just a nice place to go and hang out. Great place to bring the family or to grab a beer (or two) with some friends! They have an excellent selection of food and drinks, and their Brooklyn style pizza alone will make you want to keep coming back for more. Also, the staff is very friendly and really make you feel welcome from the moment you arrive. Always a great atmosphere when I’m there. I highly recommend checking this place out! This pizza is the perfect combination of crisp crust, fine mozzerella and great sauce. If you get a single slice, it is the size of 2 small regular pizzas in any other pizzeria I have found. I wish there was aplace better that served something anywhere near the caliber of Amalfis but no is the answer! Amalfis is the go to place to meet my out of town friends. Everyone I have brought here loves their pizza and entrees. They also are active in supporting St. BALDRICKS, and they host many local bands in the bar area. They even have an event room. What more can you ask for? 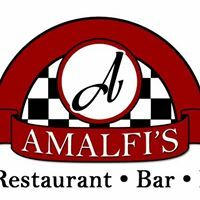 Amalfi’s has delicious food and excellent service… go try it out! This restaurant is one of my faves. Very friendly employees and great atmosphere. The pizza is amazing and there’s nothing negative about this place. Great spot for families and friends to relax and enjoy good food and drinks. I highly suggest it! Great family/ friendly atmosphere. Best pizza around and the entrees are fantastic! Staff is amazing and the service is always fast. I would highly recommend for a great meal!! Excellent place! Service is fantastic! The best Vodka Rigatoni I’ve ever had. Host Ed is very nice and put he’s in when their busy. Dario is fantastic waiter. Everyone is always so pleasant and helpful. Looks like a great place to work! Best Italian food anywhere! Everything is delicious! Service is fantastic and the staff couldn’t be better! Highly recommend!! The first thought that crossed my mind as I entered Amalfi’s was whether or not I was still in New Jersey. The soothing sounds of Bocelli drifting through the air, and the comforting smells of fine Italian cuisine made me question whether or not I caught a flight to Naples. The food is some of the best in the area. Whether you’re grabbing a sandwich and a bottle of local beer for lunch, some appetizers and a pizza for the family, or a couple of entrées and a bottle of wine for dinner, Amalfi’s never disappoints. The atmosphere is always lively and enjoyable. Amalfi’s plays perfect host for catching a game with the pals on one of the many flatscreen tv’s, or enjoying a live band on the weekends. The crowd is always friendly and everyone is sure to have a good time. If you’ve never been to this family-owned restaurant, I highly suggest taking the time to try it out. Five stars doesn’t do justice as to how excellent this establishment really is. Best bar, best food, best staff! By far my favorite Italian family restaurant. The atmosphere is fantastic, as the Moriello’s make you feel like part of their family while you’re there. The food is amazing. I’ve never left Amalfi’s without thinking to myself, “That might have been the best meal I’ve ever had. I personally recommended the chicken Parmesan meal over penne pasta. It’s so good that I struggle ordering anything else when I’m there. Lovely building and decor, friendly staff,And the food was amazing. Food and the service is excellent! I\’ve been coming to Amalfis for years, a family owned reassurant that never seems to miss a beat, great bar/lounge if you want to just go in for a drink and an appetizer, great dinning area for the family, and they even have a private party room in the back, very accommodating. The food is by far the best around from their famous Brooklyn pizza to every other entree on the menu, the customer service is unmatched, the 3 brothers Dario, Tony, and Luigi are great they make you feel welcomed and as if you were apart of the family. The family atmosphere and great quality food with the amazing service is a 5 star combo. Let me start off by saying if you haven’t stopped into Amalfi’s for a hearty Italian meal before you’re seriously missing out. Whether you’re looking for a nice sit down enviorment or just looking to drink few beers and indulge in to die for bar pies this is the place to be! I eat here once a week and nobody in the area comes close to competing with the quality of their pasta dishes! Everything i’ve ever ordered has been nothing short of fantastic! The Brooklyn pizza is easily the best pizza I’ve had in a long time! The staff is extremely welcoming. If you can’t decide on what to order don’t hesitate to ask for a recommendation. Everyone is extremely friendly & helpful! Highly recommend this place! From a beautiful wrap around bar, an outdoor dining patio, a private event room, and high top/standard seating areas, Amalfi’s Restaurant and Bar has MUCH to offer to its customers for all occasions. Their menu ranges from fresh and mouth watering dinner specials, to all your Italian classic dishes, and a pizzeria menu that cannot be matched. Whether you and the family want to sit down and split a delicious pizza, or have an a la carte fine dining experience, Amalfi’s has you covered. This family owned and operated business certainly takes pride in creating a warm and friendly atmosphere, and that same feeling is reflected in every dish that comes out of the kitchen. If you have not had the chance to visit yet, it’s because you don’t know what you’re missing! Great family owned restaurant/bar! Best Brooklyn pizza you’ve ever had garanteed! Great place to go grab a beer and watch sports with friends, they have 14 different flat screen TVs. Also, their main entrees are to die for, and always big portions! The chicken Francese is my all time favorite along with the grilled chicken sandwich! Those are my go to! Also, the staff is always very friendly and willing to do whatever it takes to ensure you have the best time at amalfis! It really feels like a family atmosphere there! And if you don’t feel like coming in call in for pick up or delivery they are so fast, never had any problem everytime I called in my food was there on time and hot! I love this place I highly recommend it!